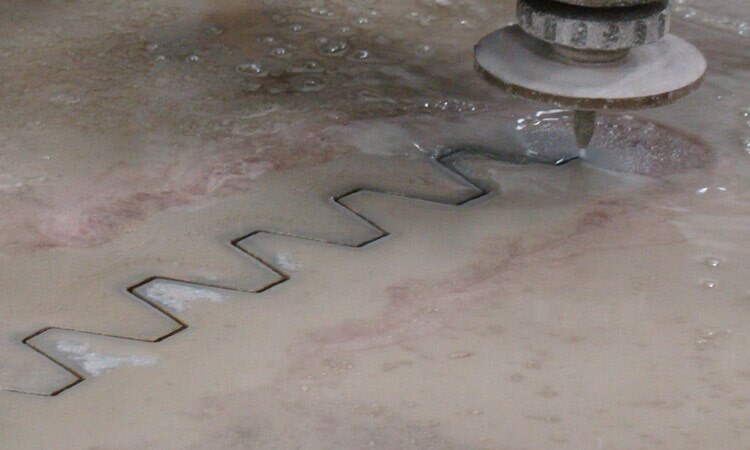 Waterjet Cutting Services | Waterjet Machining Services | KLH Industries Inc. Sitting inside a plastic bottle, water may seem ordinary. Not at KLH Industries, where water cuts virtually any type of material: rubber, cork, glass, marble, silicon, alloys, and even concrete. With cutting streams pressurized to 90,000 psi, the material could be solid titanium and still not put up much of a fight. KLH offers waterjet cutting services with quality becoming of an AS9100 and ISO 9001 certified company. 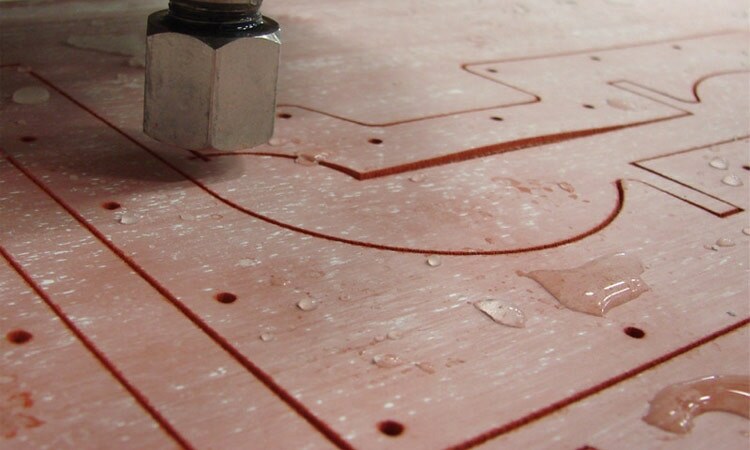 The waterjet department turns most request for quotations in less than 24 hours, but with over a decade of experience and three-shift capability, can possibly turn your parts just as quickly. 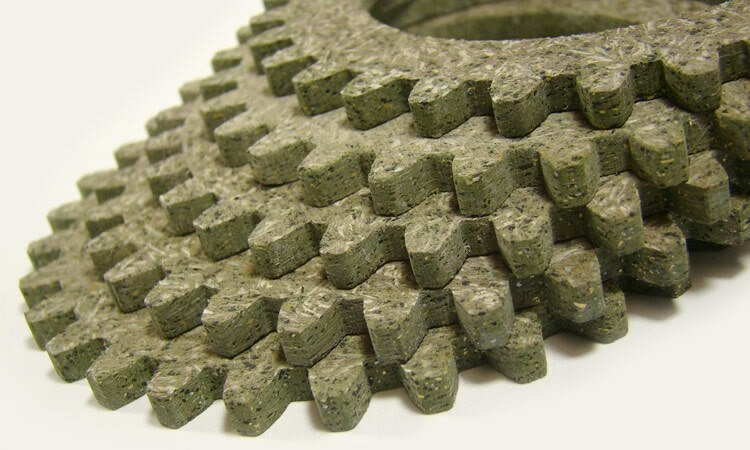 Cutting tolerances vary depending on material type & thickness. Contact KLH for details. Cutting head articulates 60 degrees for bevels and 3D part production. If it fits in a truck (and through the door), good odds are KLH can cut it. 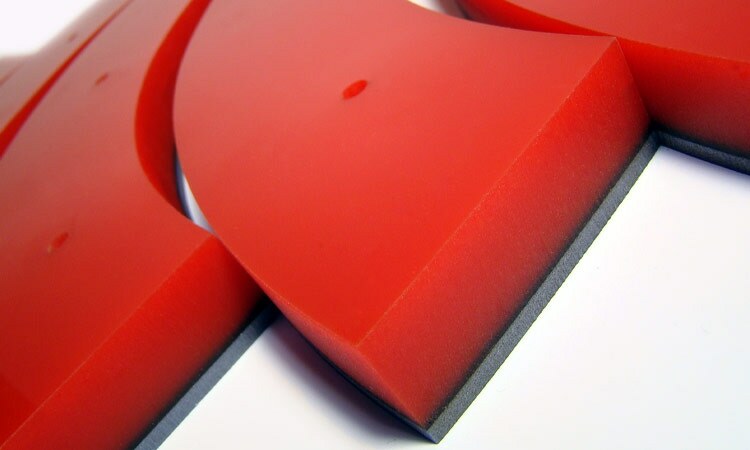 Won’t harden the cut edge of metals, ideal for the aerospace industry. 90,000 psi cuts hardened steels to soft rubbers and everything in between. Geometrically calculates a part orientation that will minimize material use. 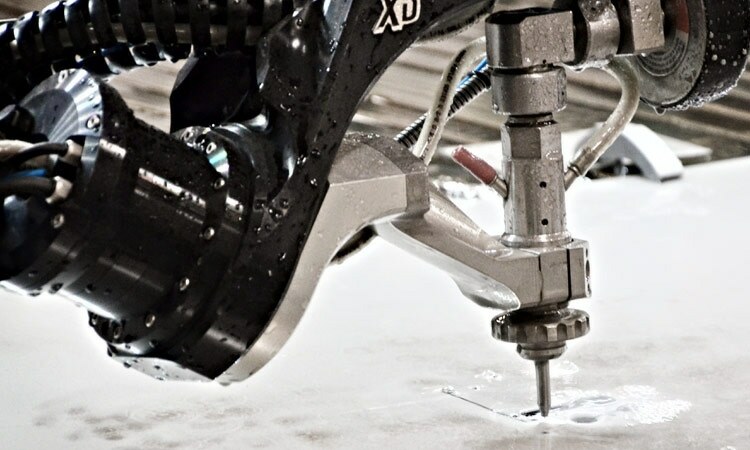 Waterjets are often used to cut flat sheet and stock, however, 5-axis cutting heads have expanded waterjet cutting into 3D machining applications. 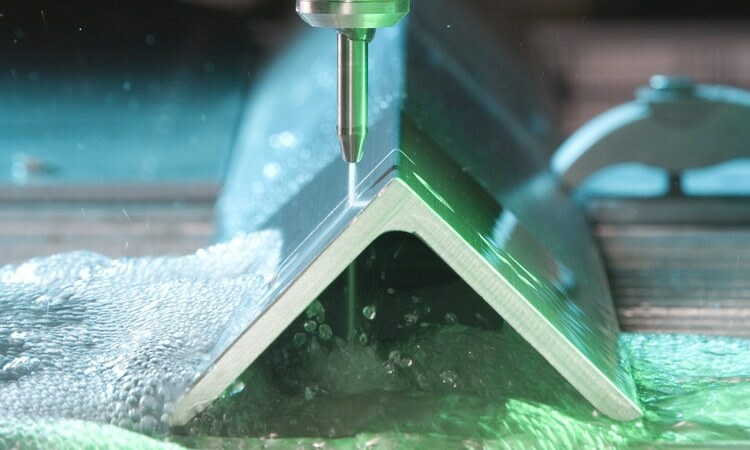 Bevels, for example, which are commonly required for downstream welding, can be machine directly on a 5-axis waterjet. 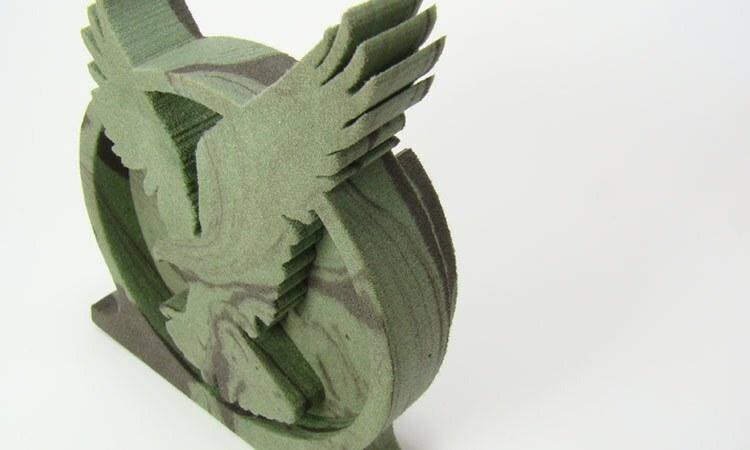 Almost any material can be cut with few exotic exceptions. 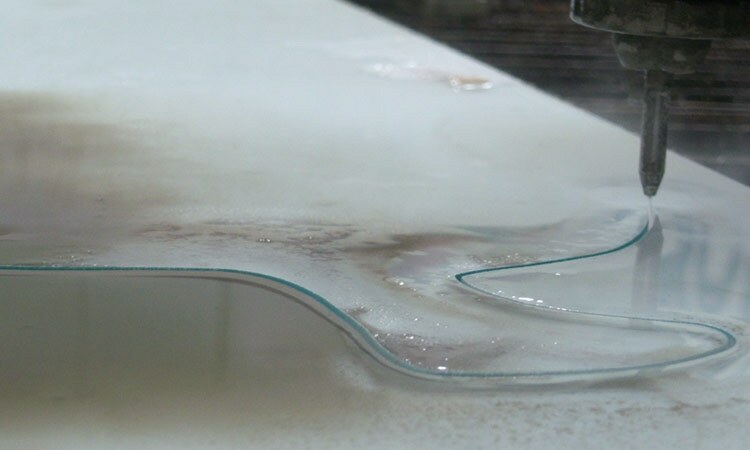 Some laminated materials may separate slightly depending on the strength of the adhesive, and certain types of glass are more prone to cracking. 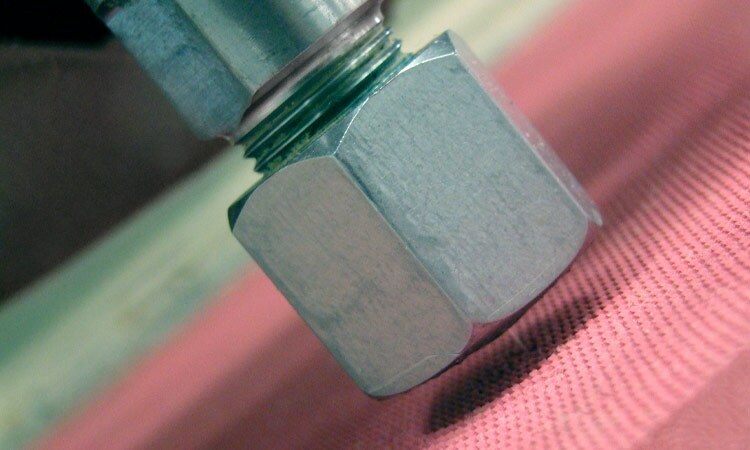 Test cuts are typically necessary and provided free of charge. 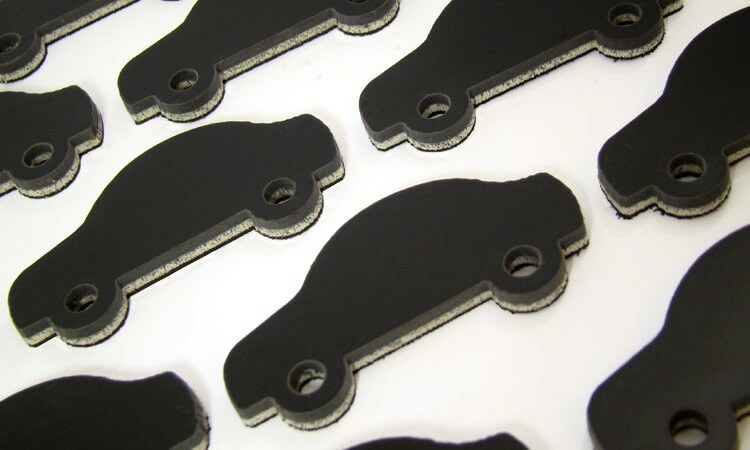 Waterjets excel where reflection or conductivity properties prevent the use of laser or plasma cutting. High strength, high-temperature aerospace materials such as inconel ®, hastelloy ®, or titanium can be structurally damaged by using a heat-based cutting method. 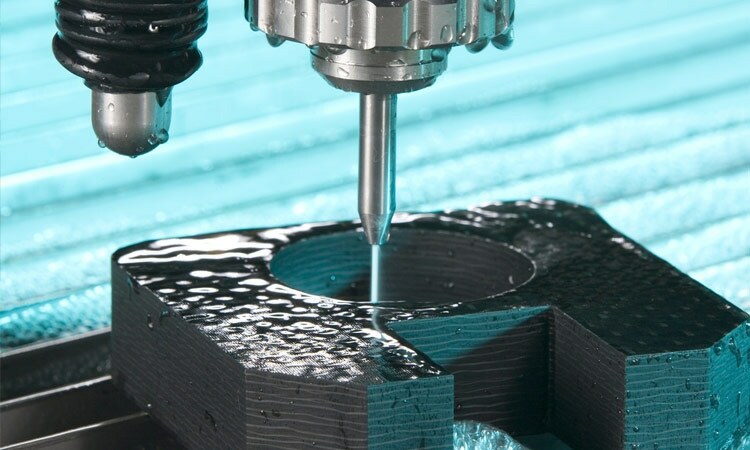 Waterjet cutting cannot hold as tight a tolerance as wire EDM or CNC machining, though, it is considerably more cost-effective for parts that do not require tight tolerances. 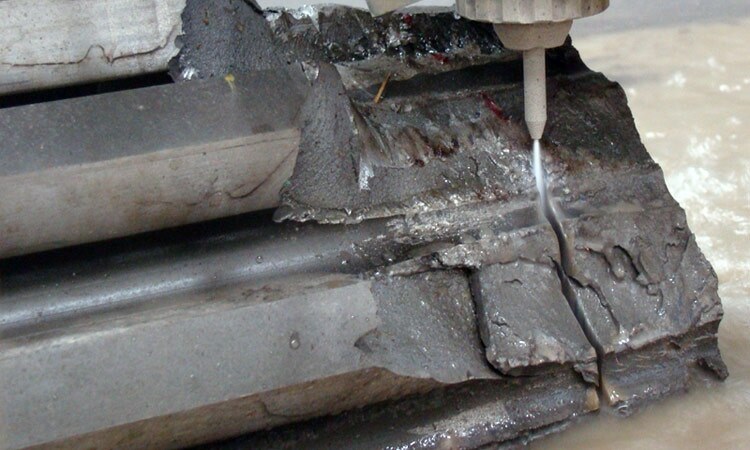 Waterjet cutting slices through materials with a pressurized jet of water. 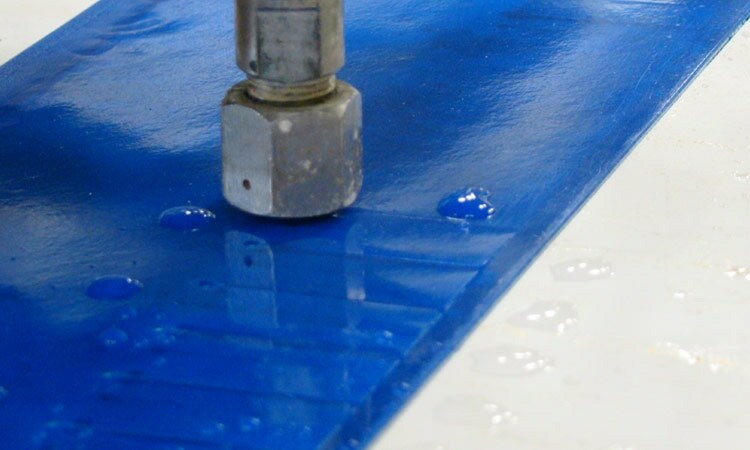 KLH offers water-only and abrasive waterjet cutting, which mixes water with a sand-like garnet to increase cutting speed and accuracy. Water propels the garnet, but the garnet does the cutting. The process is similar to natural erosion, but is greatly intensified. 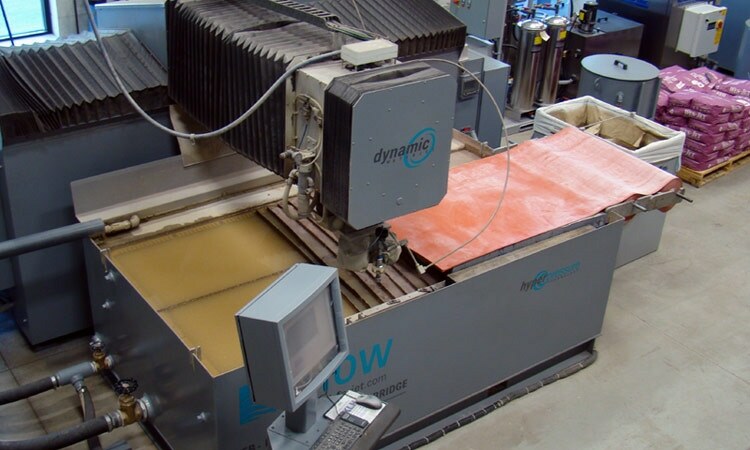 What’s the maximum waterjet cutting height? 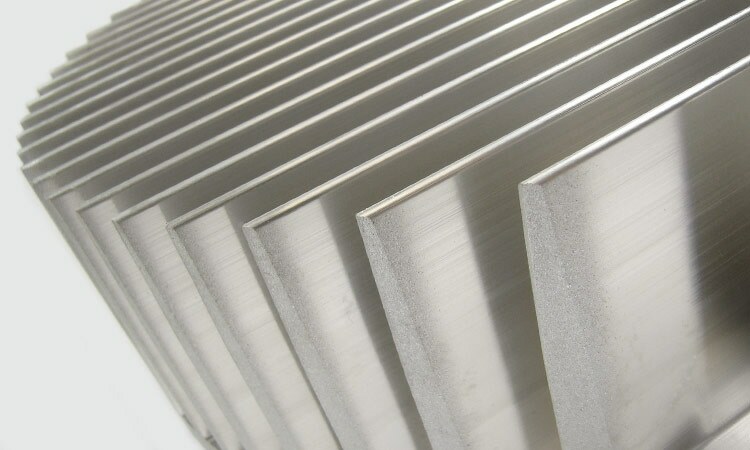 To precision cut a tolerance of +/- 0.003”, max thickness is 0.1875”. To rough cut, upwards of 22”. If you require tighter tolerances on electrically conductive material, consider wire EDM as another option. What is the minimum hole size? 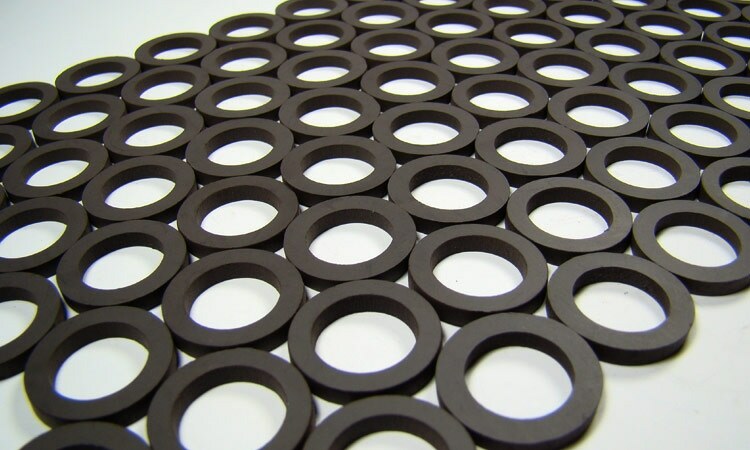 For thin material, the minimum hole size is 0.08”. 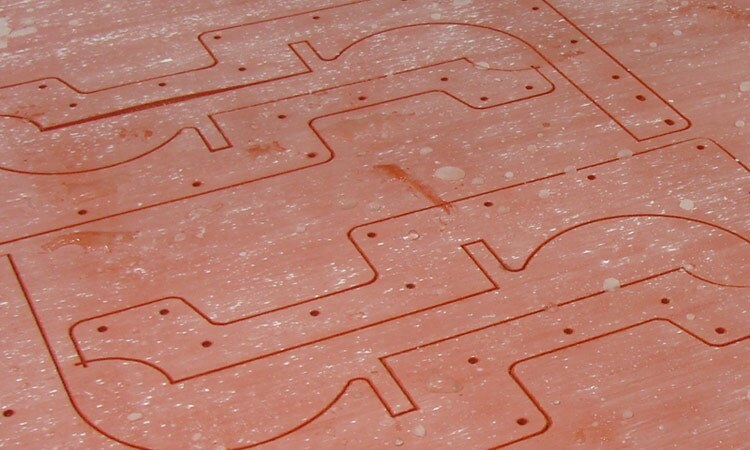 This is due to the 0.03”-0.05” width of the kerf, or the area removed by the cutting stream. It is important to consider the width of the kerf when supplying your own material. 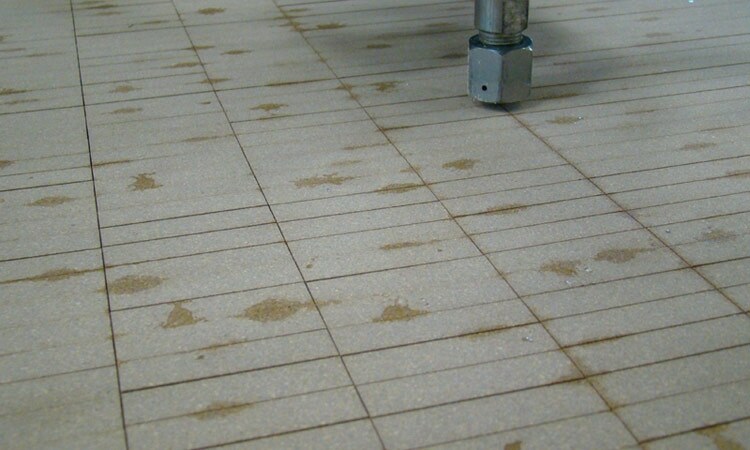 What factors influence the cost of waterjet cutting? 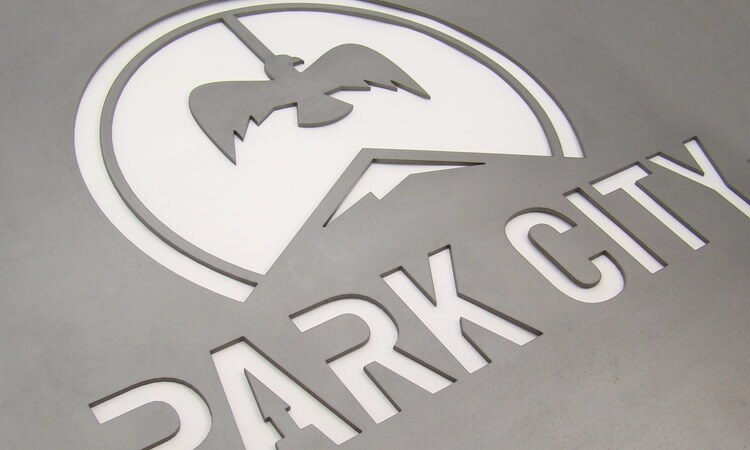 When possible, material type and thickness have the greatest affect on cutting rate. 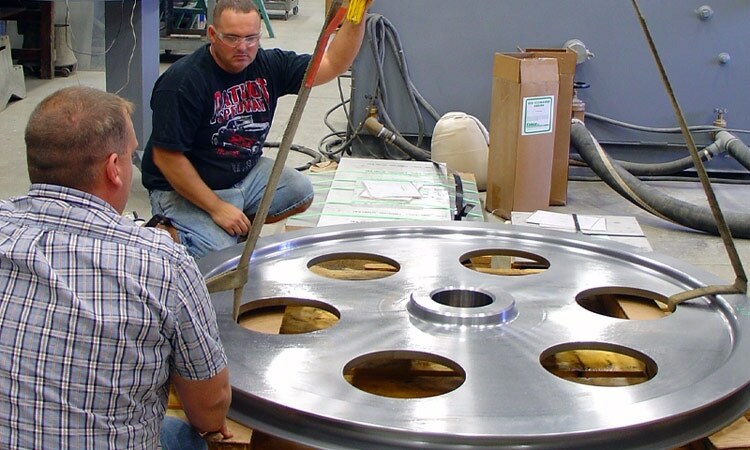 Since most customers cannot alter these specifications, consider opening up tolerances or finish requirements. Average turn around time – from purchase order to ship date – is 3-5 days. Expedited processing can also be accommodated. 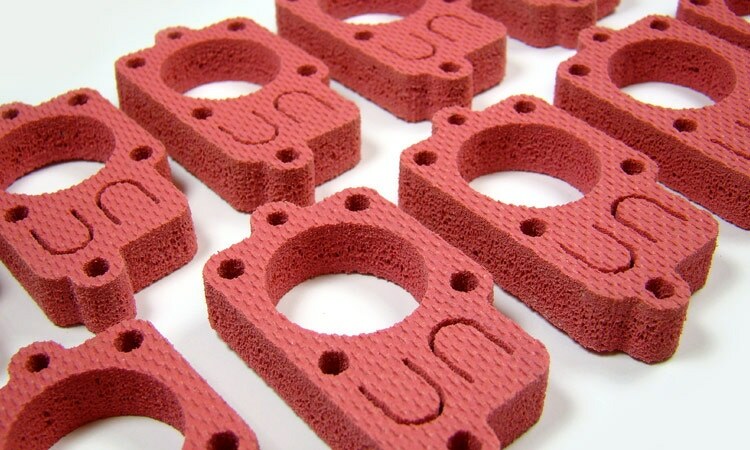 Can you waterjet cut [my material]? Probably, yes. If the waterjet department manager has any doubt, KLH will arrange a free waterjet test cut on any customer supplied material.